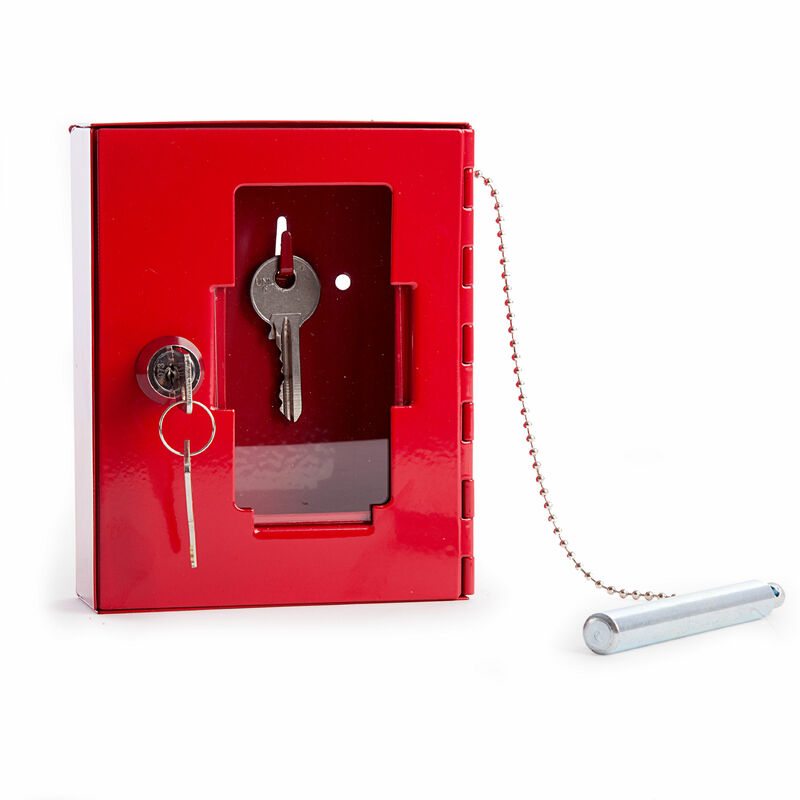 The Sterling Emergency Key Box allows an easy visual check of stored keys. 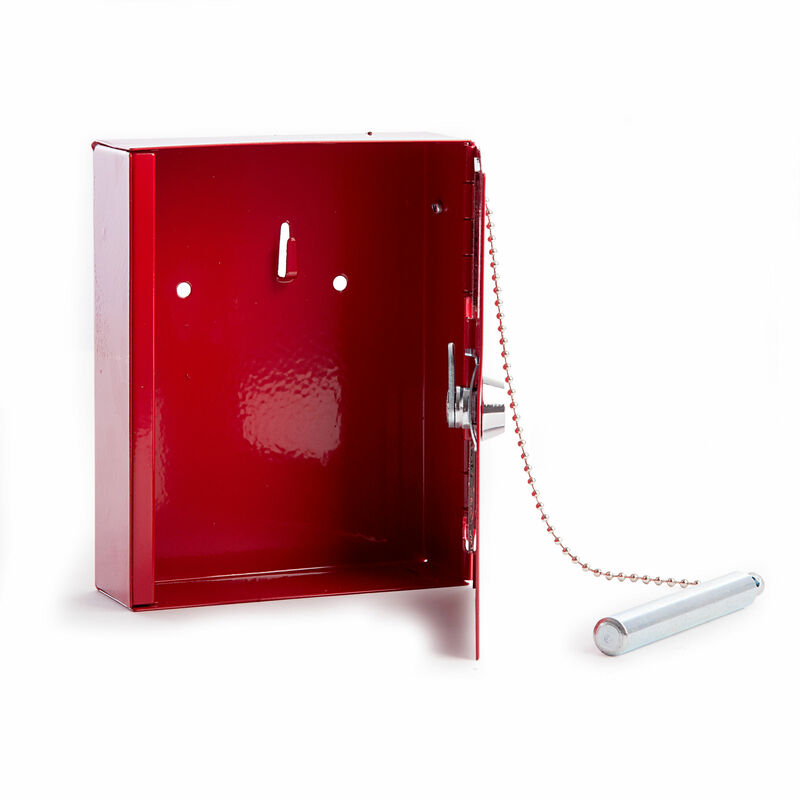 The emergency key box comes supplied with an emergency break glass hammer which is attached on a chain for emergency access to the keys stored. Comes complete with Cylinder Lock and 2-Keys, Red powder coating and all fixings are supplied.